The Rise and Fall Overbed Table features a spring loaded mechanism that enables users with poor grip to easily adjust the height using finger action only. 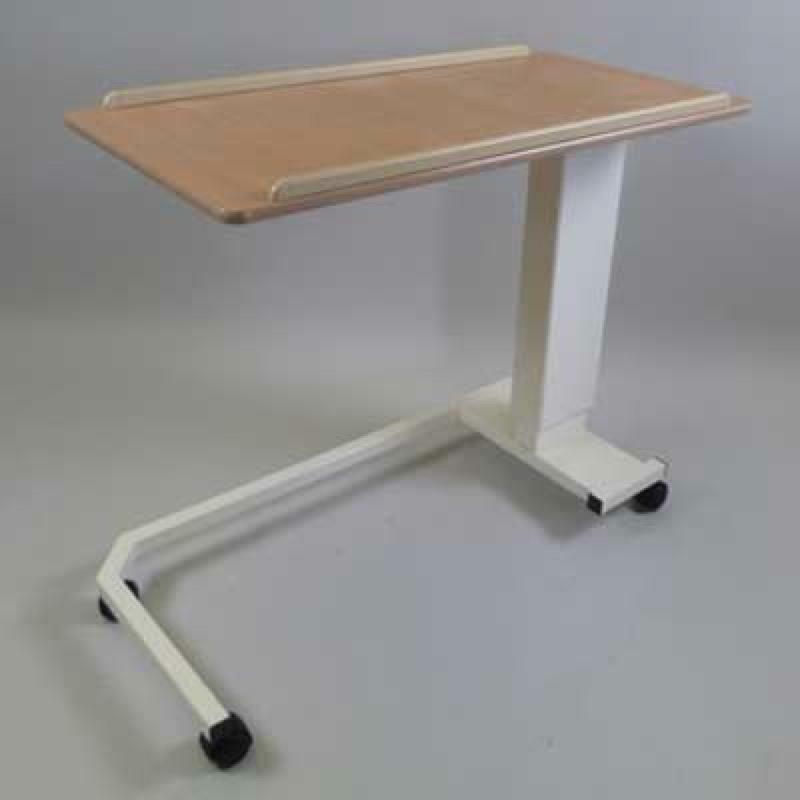 The large Beech polished top is hard wearing and easy to clean.The table has been designed for both overbed and seated use, particularly with wheelchairs. The stable base is housed on four swivel castors for ease of movement. There are also retaining table edges to prevent items slipping off.